I flew into Dublin from Paris. 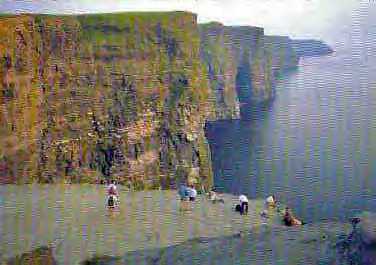 I left Ireland from Shannon. 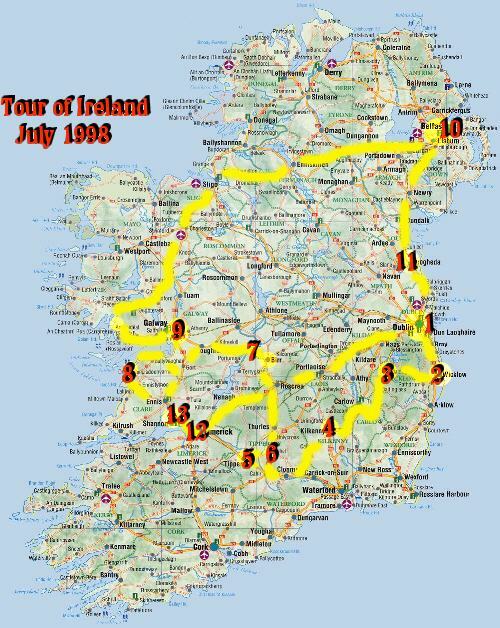 So if you follow the numbers on the above map (from 1 to 13), you will see the order and the approximate route of our tour. While we were in Ireland, it was Orangemen's "the marching season." 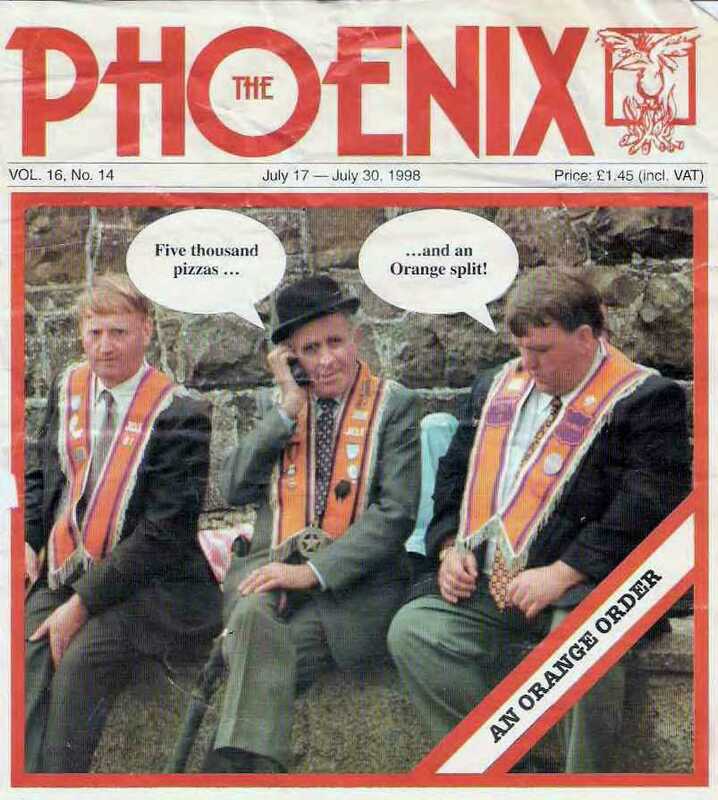 So I picked up this magazine, auspiciously named The Phoenix (my home town), with a photo that mocks the Orange order (Protestants) in Northern Ireland. 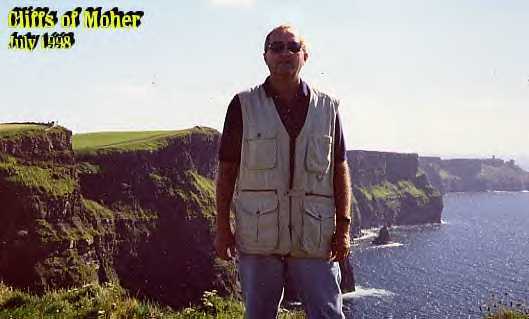 ...and yours truly at the same spot. 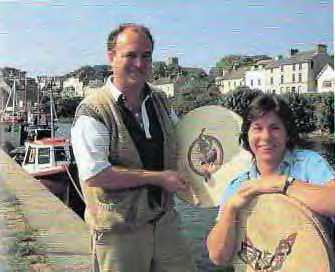 Two bodhran players (pronounced "boran" - for more on that, see the "Countryside"). 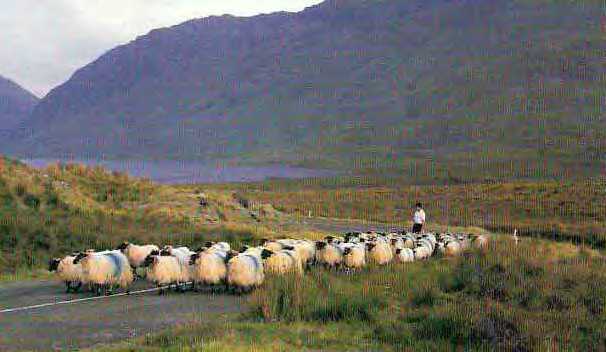 Another "painting-like" scene from the Irish countryside. 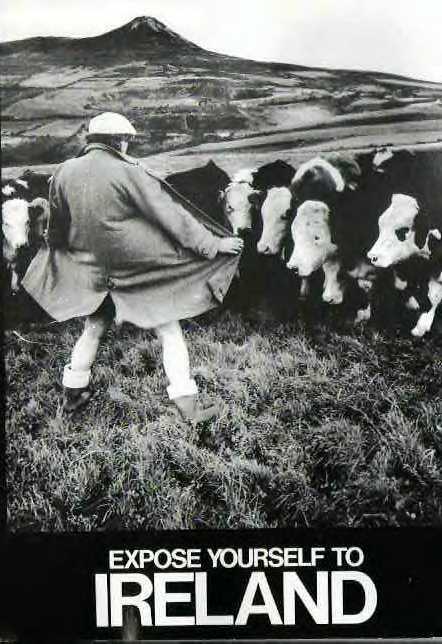 And finally, some of the home-spun Irish sense of humor. To read about Bob's "Irish Roots"